The all-new, self-contained Smart Mirror™ utilizes on-board microprocessors that enable best-in-class precision, WiFi capability, and the intelligence to support a range of peripheral devices. From customized solutions to dedicated products, we’re bringing precision, intelligence, and connectivity to motion control and mechanics. When you consider what it would take to match the robust capabilities of the Smart Mirror™, the choice is clear. See for yourself. We’d love to hear about your application. Thanks. I agree to be on mailing list for future updates. 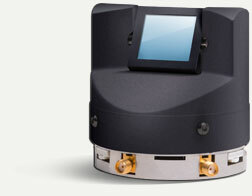 Swift Control Systems is dedicated to the development of a new generation of connected, intelligent optomechanical solutions. enable automated angular, rotational and translational mirror adjustments and support a range of plug-in accessories such as power meters, position sensors, and laser alignment tools. Further, a WiFi option facilitates remote control powering the connected lab or Internet of Lab Things (IoLT™) for research applications. Our technology and products have a number of different applications and markets, including photonics, security and surveillance, life sciences, and industrial automation. Larry West, President, Swift Control Systems, Inc.
Smart Mirror US Patents Pending. Smart Mirror, Smart Mount, and IoLT (Internet of Lab Things) are pending trademarks of Swift Control Systems, Inc. All rights reserved.